Do You Know About the Different Fastener Genders? Similar to the two genders of humans, fasteners come in both male and female. These two genders work together to join objects or to close containers. In manufacturing, the male fasteners are the ones that bear at least one protrusion or fits inside another fastener. 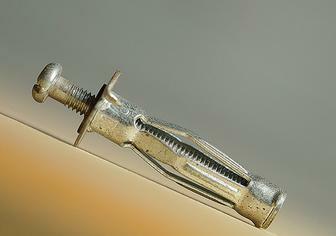 The male fasteners are normally threaded bolts, but may also be a mounting boss or sheet metal tab. Female fasteners are considered the receiver, or the fastener that the male fits inside. These come in the form of a threaded nut, mounting recess or sheet metal slot. At times, the fasteners in possession may need to changer gender, or remain the same to accommodate another fastener it will be joint with. If you need a male to female adapter, male to male adapter, or female to female adapter, visit M. Brown Fitting Specialists Inc. The need for grease fittings in cars and trucks have decreased with the introduction of lubricated sealed bearings. However, there are other machines that need grease fittings for maintenance. A tractor has many moving parts that require greasing. Grease fittings can be found in locations such as steering components, pivot points, and brake connections. Riding lawn mowers are small but powerful machines. They have spindles that are located on each blade and front tires that require lubrication to function properly. Boat engines commonly use grease fittings to provide fresh lubrication for the boat’s motor, preventing corrosion. Specialized grease fittings are used to prevent corrosion of the fittings themselves. Grease fittings are still useful in many machines, even if little maintenance is needed for functionality. 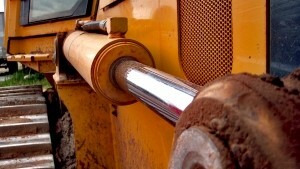 M. Brown Fitting Specialists has a large inventory of grease fittings to help keep machines lubricated and functioning. Zerk grease fittings have long been the industry standard to feed lubricant into a bearing for industrial machinery and more. While the fully contained sealed bearings are often used on consumer goods nowadays, industrial appliances still greatly benefit from the numerous advantages of our leakproof grease fittings. Even though alemite grease fittings require some maintenance in order to continue running effectively, the amount is small. If new grease is pumped into the bearing occasionally, grease fittings will continue to work for a long time. For industrial machines, and appliances such as automobiles, tractors, and lawnmowers, grease fittings provide essential durability in order to keep operations running smoothly for a long period of time. Brown Fitting Specialists, Inc. is your source for Lincoln and alemite grease fittings, as well as other industrial fitting and supply needs. We offer a huge inventory and personalized service. Contact us today for a quote!